When it comes to successful SEO, keywords are a very important part of your web strategy. Here, we answer the question ‘how many keywords should I use?’ and explain how to choose keywords that are right for your website. The keywords you choose can be a deal breaker for your website’s success online. But along with choosing the right keywords, you should also choose the right number of keywords. Even if you have a very small budget, don’t target just one keyword. You should choose a range of keywords that accurately describes your business, services and products. People search for millions of terms every day, so unless you choose a keyword that is highly searched for, you won’t easily find success this way. Plus, if your competitor already ranks well for this keyword, it will be a real challenge to compete. Ranking well for one keyword only will not bring enough visitors to your site. So ensure that you have a list of relevant keywords to help boost your SEO. Depending on individual pages, you might want to target a different amount of keywords. For example if you write a blog post, you want to focus on one or two keywords. A web page will be different, and for that you can target a family of keywords. But it all starts with choosing the right keywords to work with. Keep in mind that the more keywords you choose; the more resources they will take. It takes a lot of effort to rank for a specific keyword so make sure that you choose a number that you can manage. This will depend of course on your budget too, so keep this in mind. If you are a small business or don’t have a huge budget to work with, start with five keywords at first. That doesn’t mean you will rank for only five keywords though; you will rank for more, since there will be variations of a word, phrases, stop words (for, the, etc.) and so on. It’s estimated that around 40% of searches by online users are made up of phrases containing four or more words. So longer keyword terms will also benefit your keyword traffic. Keywords on your home page along with links to relevant pages can be very powerful for your website. Make sure that you use a combination of good keywords on your home page, and link to pages from your main navigation. According to MOZ, a good number of keywords to start with is between one and 15. This depends on the number of pages you have on your site, your budget and the type of keywords you want to rank for. Remember to include these keywords in your page title, meta tags and H1 headers. Therefore, how many keywords you should use varies depending on your site. However, choosing the right keywords you can do a lot in terms of rankings. 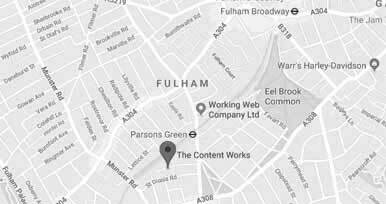 If you want to create great content to boost your SEO efforts, speak to the experts at The Content Works for tips and advice.